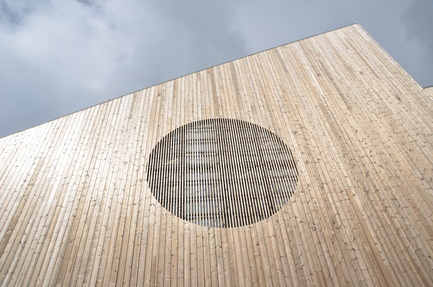 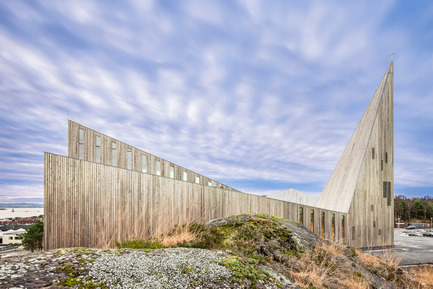 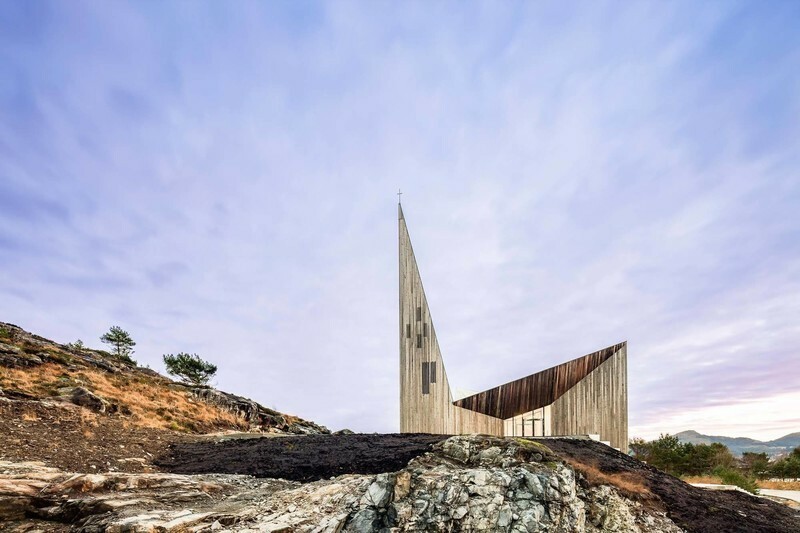 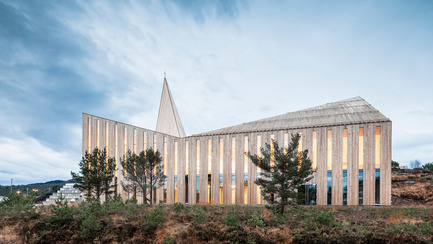 Oslo, Norway, 2016-10-26 - The new Community Church in Knarvik, located on the scenic west-coast of Norway north of Bergen, is built on a privileged site overlooking the cultural landscape and local town centre. 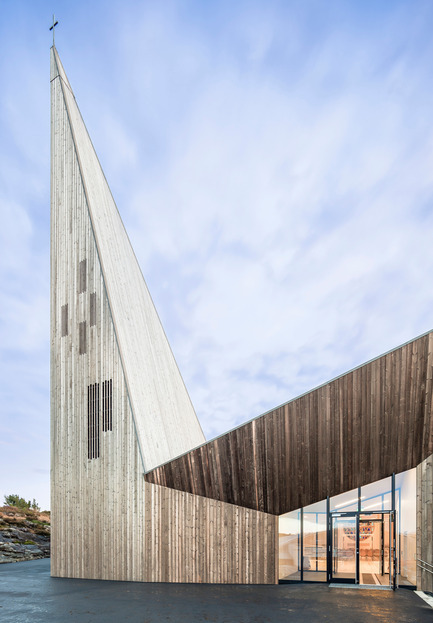 The building is carefully adapted to an existing hillside between built and natural environment, providing the church with an inspiring context o the surrounding heath landscape. 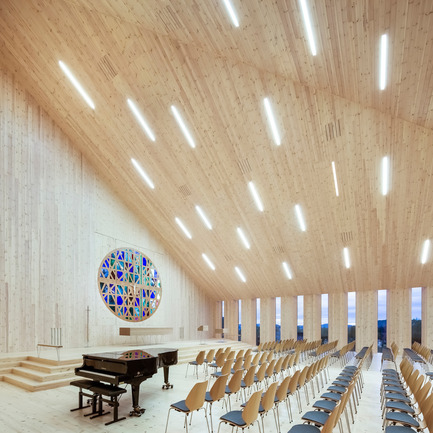 Its distinctive and innovative character and central location makes it a landmark in the community, to be inviting and inclusive for all people to cultivate their faith throughout the week. 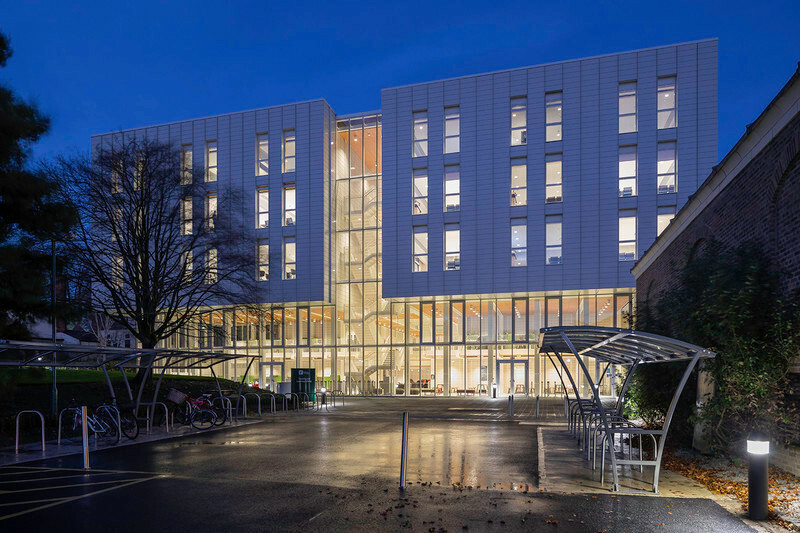 to accommodate more than 500 people. 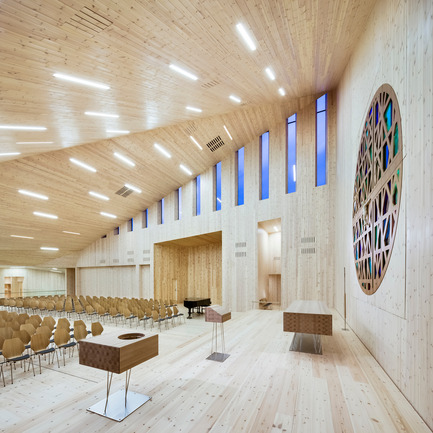 heartwood and mirrored by the light-coloured pine finish on all interior surfaces. 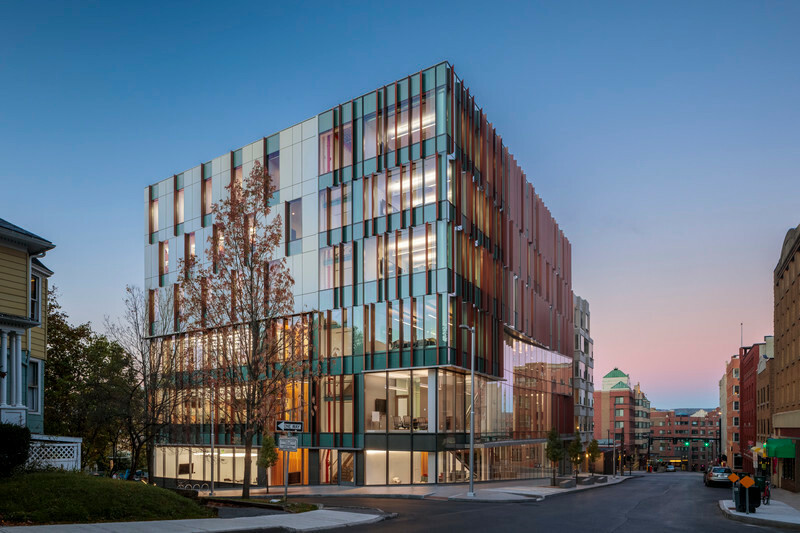 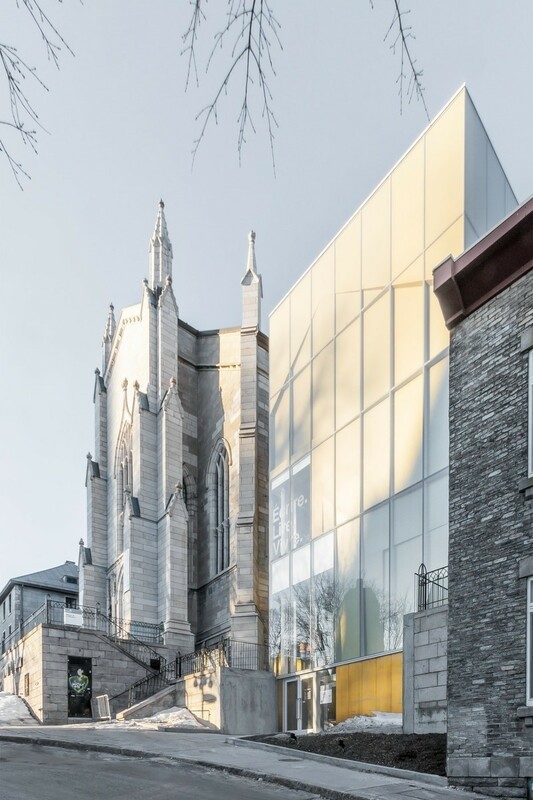 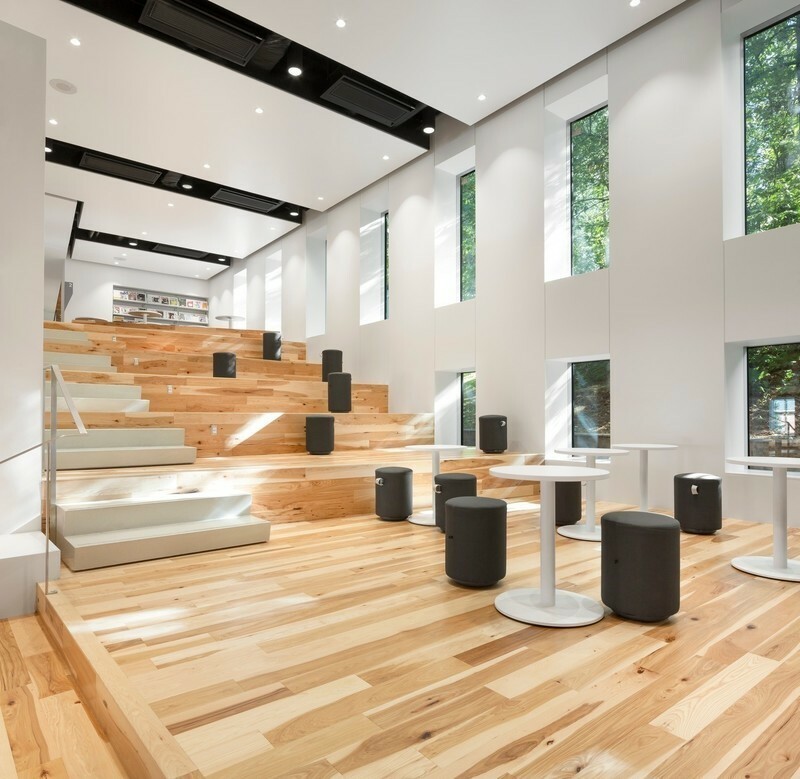 The building permits daylight into its volume through lancet-reminiscent tall and narrow windows, splayed in plan to maximise admittance and reduce glare. 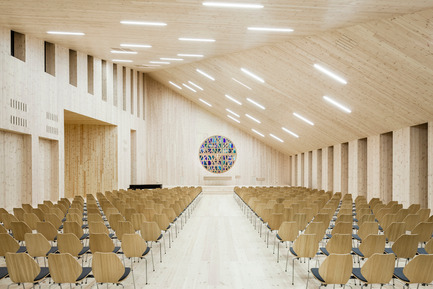 At night, the warm glow of the interior reveals the activities of its religious and cultural events. 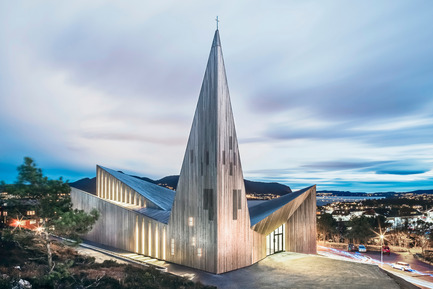 The church aspires to provide a platform for a safe upbringing for children and youth, to become a local venue for gatherings and faith, and to facilitate art, music and cultural development. 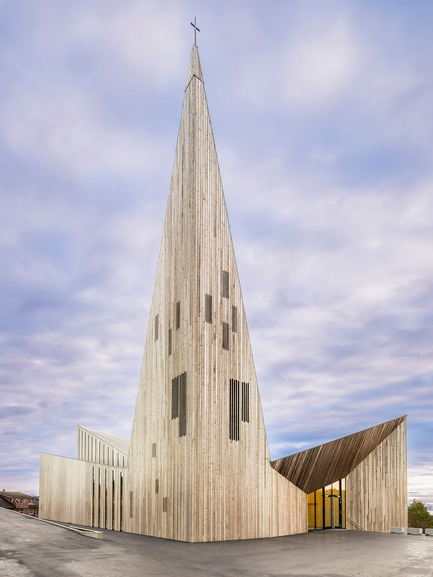 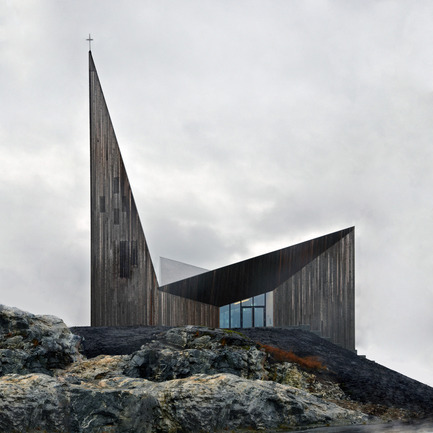 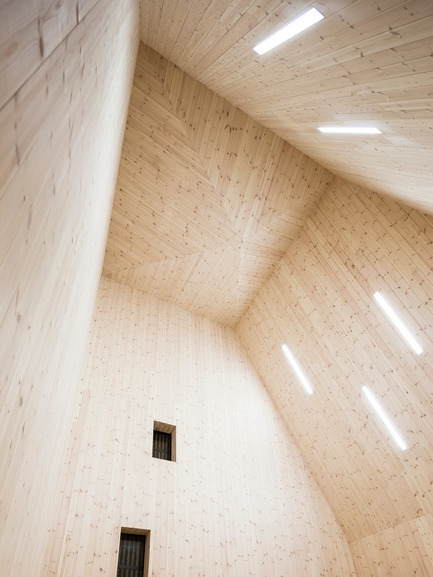 The Community Church Knarvik has an architectural expression, spatial solutions and materiality which unites religion, culture and the sitespecific context into a whole. 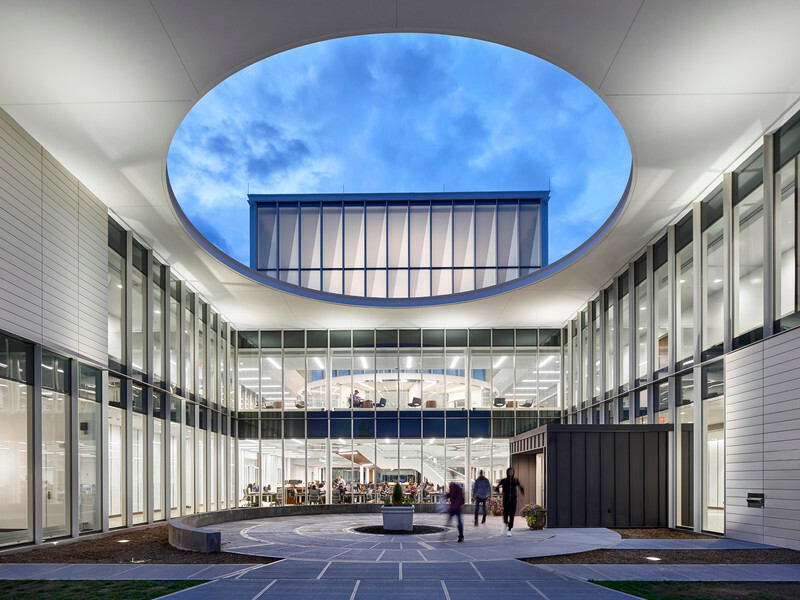 Over the years RRA has produced a wide range of innovative and ground breaking projects with an exceptional variation of scale and program. 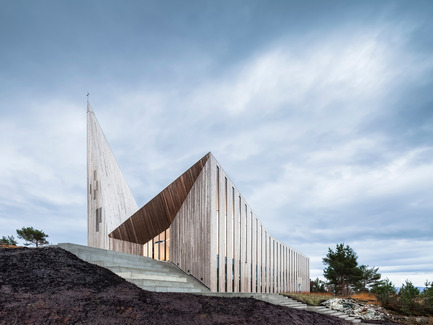 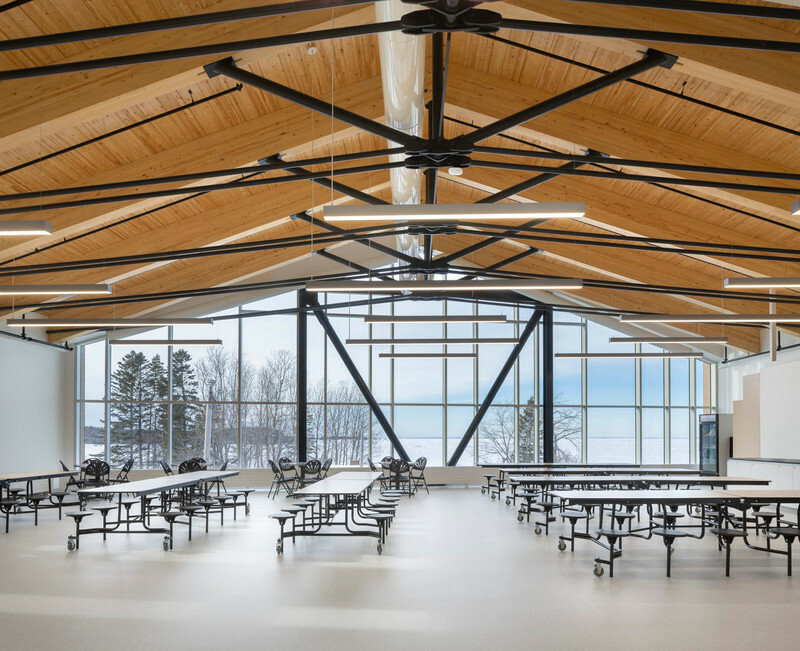 They have earned a reputation for creating bold, simple architecture with a strong connection to the Scandinavian context and the impressive Scandinavian landscape in particular. 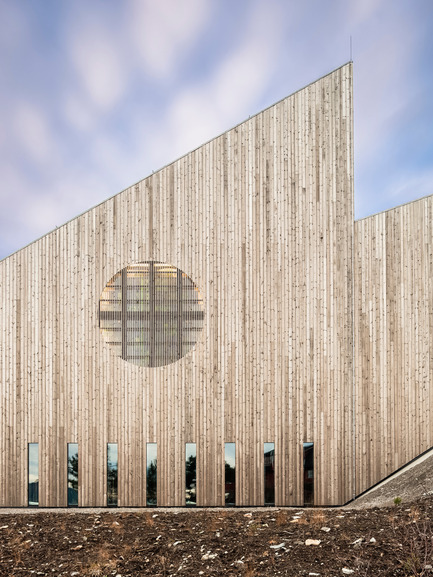 Common for all their projects are that they are driven by a genuine dedication to humanist values. 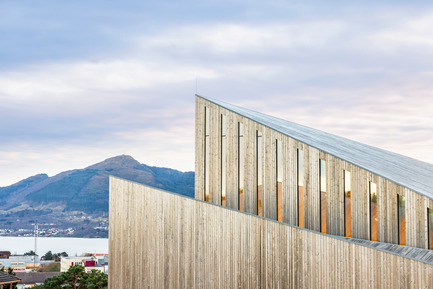 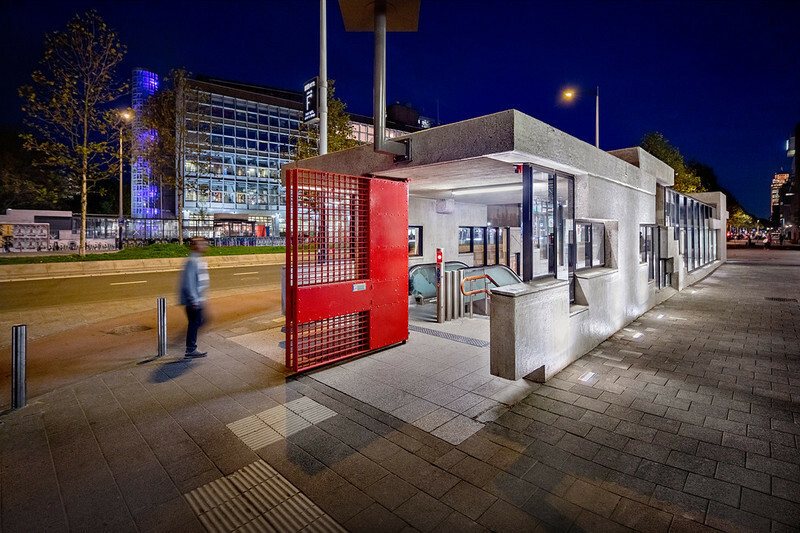 RRA build in both, urban and rural areas, all over Norway and recently their projects are increasingly gaining attention also outside of Norway.